All you need to know about lisps! A lisp is a type of speech disorder where a child has trouble correctly producing “s” sounds (e.g. sun, listen, grass) and “z” sounds (e.g. zoo, easy, buzz). Sometimes other sounds including “sh” (e.g., shark, washing, brush), “ch” (e.g., chair, matches, lunch) and “j” (e.g., jump, pigeon, bridge) are also affected. Before we go ahead and talk about where things may be going wrong, it might be helpful to get an idea of how we actually make the correct “s” and “z” sounds in the first place. You may be surprised to learn that “s” and “z” are essentially the same sound. The way the lips, tongue and teeth are positioned is the same for both. The tongue is kept behind the teeth, with the tip of the tongue either behind the top or bottom teeth. The sides of the tongue are curved upwards to touch the upper molars. This results in the tongue forming a groove down the middle, which the airflow passes through to produce the sound. The only difference between the production of “s” and “z” is whether we use our voice or not. The “s” is what we called a “voiceless” sound, where the “hissing” sound you hear is the air escaping from your mouth. On the other hand, “z” is a “voiced” sound because, yep, you guessed it, we turn our voice on, which simply means that our vocal folds start vibrating to produce the sound. This occurs when the tongue pokes out between the front teeth and airflow is directed forwards. This makes a “s” or “z” sound like a “th”. For example, “sock” becomes “thock” and “zoo” becomes “thoo”. In this type of lisp, the tongue rests on or pushes against the front teeth and airflow is directed forwards, producing a slightly muffled sound. This occurs when the tongue lies flatter in the mouth, which directs airflow over and out the sides of the tongue. Lateral lisps are often called “slushy” as they sound “wet” and “spitty”– think Sylvester the cat! In this type of lisp the mid section of the tongue comes into contact with the soft palate. Caroline Bowen (an Australian speech pathologist and speech sound guru!) explains that if you tried to produce an “h” closely followed by a “y” sound, you would more or less have an example of what a palatal lisp might sound like. If your child is leaving the “s” or “z” sounds off words (e.g. saying “house” as “how”) or is replacing them with another sound (e.g. “tun” instead of “sun” or “doo” instead of “zoo”) they are not lisping. These sound replacements may indicate phonological difficulties, which are another type of speech sound disorder. In this case you should speak to a speech pathologist for advice. You can click here to find out more about what’s normal and what’s not when it comes to children’s speech sound errors. There’s also a chart to show you what ages these “normal” errors should disappear by! My child has a lisp – Will they grow out of it? It is perfectly normal for younger children (who are developing speech along the typical pathways) to produce an interdental or dentalised “s” and “z” as they are learning and refining their speech skills. In most children it usually disappears by itself around the age of 4 ½ years. If it persists beyond this point therapy may be required, however there is debate as to how soon treatment should begin. We will get to that point in a minute! On the other hand, lateral and palatal lisps are never part of normal development. If you suspect a child may have a lateral or a palatal lisp, their speech should be assessed by a speech pathologist as soon as possible! What is the best age to start therapy? 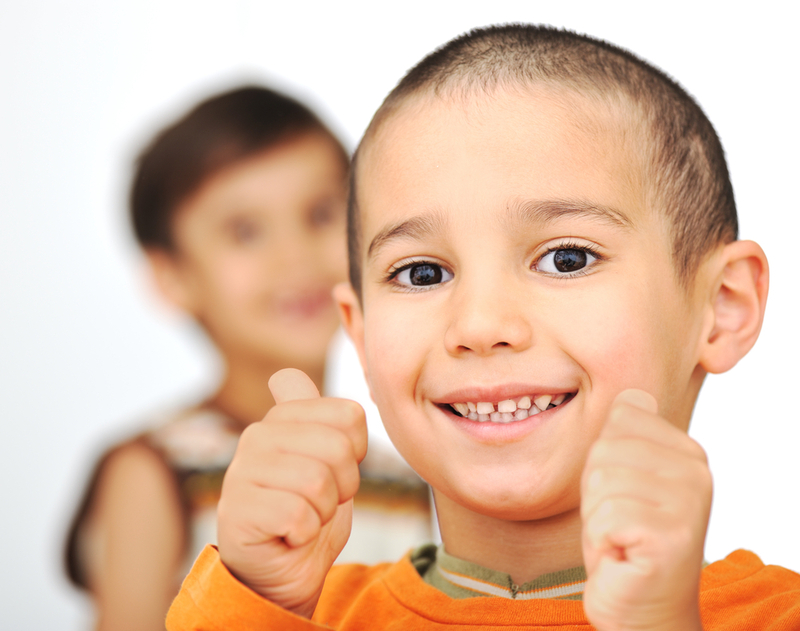 If a child has a lateral or a palatal lisp therapy may begin as early as 3 or 4 years of age. This will naturally depend on the child’s personality, their maturity and their ability to understand and follow instructions. These types of lisps can be tricky to treat so some children may not be ready until they are a bit older and that is ok too! As for the interdental and dentalised lisps… that’s where things get complicated! As I mentioned previously, these types of lisps are seen in “normal” development, however when it comes to speech and language development “normal” can reflect a very large range. A great deal of research has been conducted over the years looking at children’s acquisition of speech sounds. When it comes to mastery of the “s” and “z” sounds various studies indicate that 75% of children have mastered these sounds by the age of 4 ½ years, 85% have mastered them by the age of 5 years and 90% have mastered them by 7 – 8 years of age. Consequently, some clinicians (including Caroline Bowen) advocate for treating lisps earlier, at around the 4 ½ – 5 year old mark. Their argument is that the longer the lisp is left untreated, the harder it is to “break the habit”. Other clinicians suggest waiting until a child is 7-8 years old before commencing therapy, based on the upper limits of the normative data. Are you wondering which side of the fence I am on? My decision is dependent upon many different factors such as the severity of the lisp, whether the child is being teased, whether they can cope with having their speech examined and corrected and whether the child can actually produce the “s” and “z” sounds correctly after modelling and prompting. Ultimately if a child is ready and motivated and the family are committed to doing the home practise, I believe the sooner therapy gets under way, the better. However, it really does depend on each individual case. The right age for one child will be different to the right age for another child, even within the same family. I have seen many eager and committed families where the child just wasn’t ready. Conversely I have seen children who are ready but due to extenuating circumstances, such as work and family commitments, the family were not able to prioritise speech therapy at that particular point in time. In those instances, I believe it can be beneficial to wait and re-evaluate the issue again around the age of 6 years. Is having a lisp really such a big deal? It’s hard to say. If there are no other issues apart from the lisp, then intelligibility usually isn’t affected too much. Most people can fairly easily understand what someone with a lisp is trying to say. However there is more to consider than just speech clarity. More often than not, the greater issue is how a child with a lisp is treated by those around them. Some lisps go unnoticed and it’s never a big deal, other children gain positive attention for sounding “cute” (remember Cindy Brady??) and unfortunately some children are ridiculed and teased. My child doesn’t need speech therapy. I know they can do it, they’re just being lazy! Many parents become frustrated once they know their child can produce clear “s” and “z” sounds, but continue to speak with a lisp. I assure you they are not just being “lazy”. Think about when you speak to someone. Are you concentrating on how your mouth is moving and where your tongue is for each sound you make? Probably not. Most of us are fortunate enough to produce speech sounds without even thinking about it. Instead, we can direct our focus to choosing the right words from our vocabulary and putting them into meaningful sentences. A child with a lisp is no different. They are focussing on the content of their sentences and stories as well. Taking your child to see a speech pathologist is important because we need to determine which level is best for your child to use when they begin to target their lisp. We need to bring the focus back to the speech sounds but if the task is too simple the child will not be challenged enough to gain any benefit. If it is too difficult, they will not have success and will not make progress. We may start by working on the sound on it’s own, then slowly move up to syllable level, single words, short phrases, longer sentences, short stories and then conversation. You can read our previous post on the 7 steps to clear speech for more information and tips on the therapy process. Sometimes you know that something doesn’t sound (or look) quite right when your child speaks, but you may not be able to put your finger on it. Or you might think they have a lisp but be confused as it may not be an exact match to any of these descriptions covered today. If you are unsure the best thing you can do is see a speech pathologist. We will be able to check what is going on and determine whether it is a lisp and if so what kind. We can then discuss whether it needs to be treated or, if it is developmentally appropriate for their age, we can leave it alone. There is no harm in asking a speech pathologist for advice if you have any concerns about your child’s speech and language skills. Hopefully, we will be able to reassure you that your child is doing just fine and you have nothing to worry about. On the other hand, if there is something more going on, we will be able to get on top of it early! Don’t forget to Like Modern Speechie on Facebook for more information and tips to help children be the best communicators they can be!